Integration is once more leading the agenda. M&C Saatchi Group continues to add to the breadth of its offering, this week acquiring the talent agency Merlin Elite and merging it into the group’s sport and entertainment arm. 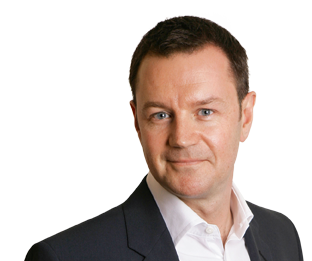 EDC – better known as Dare (digital), Elvis (direct) and Citizen (PR) – has appointed a new chief executive, Paul Hammersley, with a brief to leverage this integrated group to create more revenue growth. Both M&C Saatchi and EDC have committed themselves to integration in recent years. 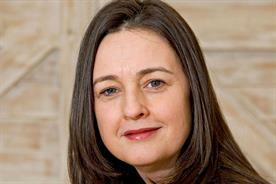 The former’s UK group chief executive, Lisa Thomas, comes from a direct marketing background. She has successfully moved M&C Saatchi beyond its foundation by legendary admen to an offering that includes strength in data, insight and PR. Engine has pursued a similar approach, developing a broad offering from the base of its UK ad agency WCRS. EDC is based on the integrated model of its original Canadian parent company, Cossette. Two years ago, it tried to add advertising clout to this below-the-line mix, with the merger of the UK agency MCBD. Last week, the MCBD contingent left to set up their own shop and EDC’s chairman, Mark Collier, admitted to me that the merger had been a "painful but useful" process. Indeed, trying to provide clients with an integrated offering is rarely without pain. So much so that some in the industry believe it to be fool’s gold. There are certainly manifold inherent contradictions. Few today would doubt the logic of providing a broader, more integrated creative service for clients. Brands are looking to simplify their agency relationships. They are looking for cost-efficiencies. And, crucially, they care less from where a powerful idea comes and more about its ability to work as a multiplatform campaign, which will change consumer behaviour online and in shops. But the question remains: how good are "integrated" agencies at actually delivering the latter? There is a clear tension between trying to provide all that the client needs, while also providing best-in-class offerings in each marketing technique – let alone cutting-edge creativity. This is often hindered by the way creative businesses are set up. Holding companies can be a big obstacle. Internal competition and the individual pursuit of financial success frequently puts agency interests ahead of client interests. So a culture of collaboration, where all specialisms are working to the same end, is critical. For this reason, Adam & Eve/DDB now insists every desk features a mixture of different specialists. Fundamentally, the starting point for integration must be the creative platform rather than the agency structure. One concludes that with integration, fortune will ultimately favour the brave, the entrepreneurial. It will favour those who hold their nerve through a painful journey. But media-neutral thinking is what clients want, and is therefore a prize worth seeking.